Prof. Dr. med. Dietrich Andresen is associated with the best heart specialists in Berlin over decades. The professor permanently reduced the high blood pressure with a renal catheter ablation in the cardiac catheterization laboratory. The internal specialist uses the newest catheter techniques even for treating and preventing heart attacks, repairing the heart valves that supersede the opening of the chest. Patients suffering from breathlessness, allodromy, tachycardia or sudden unconsciousness should see a doctor immediately. 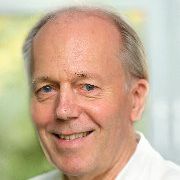 Prof. Andresen and his team provide state-of-the-art diagnostic opportunities such as echocardiology, ECG, transoesophageal echo, MRI, computed axial tomography, heart catheter, electrophysiology, event recorder and much more. Modern and gentle therapy procedures such as turning of the balloon, stent implantation, pacemaker, pacemaker against weak hearts. Please send us an email if you have any questions regarding this subject.